Alan Bamberger provides complete art consulting, advisory and appraisal services, and current art price data, market conditions and research to anyone involved with art. He appraises all works of fine art; advises on buying, selling, donating, collecting or otherwise transacting in works of fine art; assists with inheritance issues involving art; advises on settlement or dissemination of artist estates; consults on disputes or disagreements involving art; and offers expert testimony and opinions in legal cases involving art. Mr. Bamberger began selling art in 1979, and selling rare and scholarly art reference books with specialties in American and European nineteenth and twentieth century art, architecture, photography, design and decoration in 1982. He is an independent appraiser and has been appraising original and limited edition works of fine art, art books, archives, documents and manuscript materials relating to the fine and decorative arts continually since 1988. He is a member in good standing of the Association of Online Appraisers, has served on their Ethics Committee, and he abides by their standards of professional practice. He was also a member in good standing of the Antiquarian Booksellers Association of America and the International League of Antiquarian Booksellers from 1997-2011. In addition to independently performing art appraisals and related research for individuals and businesses, Mr. Bamberger currently appraises for ValueThisNow, and in the past has appraised for Auctionata, The Collecting Channel, AppraiseItNet.com, and Eppraisals.com. Mr. Bamberger has written about the art business since 1983. His syndicated column, "Art Talk," appeared in antique and collectibles newspapers and magazines nationwide from 1985 to 2001. 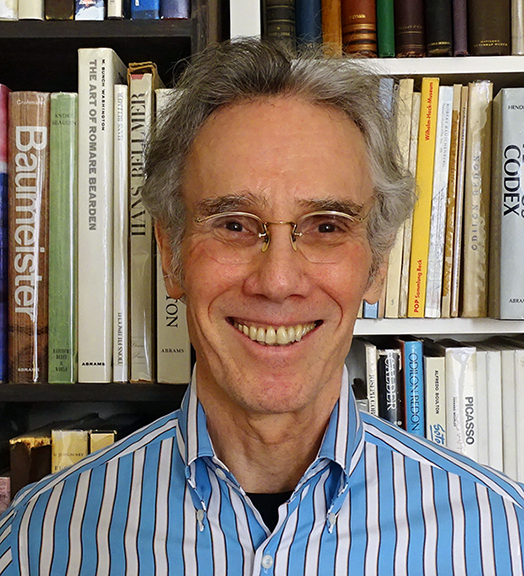 He has additionally authored three books, a completely revised, enlarged and updated edition of The Art of Buying Art in 2018, published by Robinson, an imprint of Little, Brown Group, London (originally published by Gordon's Art Reference in 2002, revised and enlarged in 2007, and about which Gayle M. Skluzacek, Former President of the Appraisers Association of America states, "I require this book for ALL of my appraisal students at NYU. "), and Buy Art Smart and Art For All, published by Wallace-Homestead in 1990 and 1994 respectively. In 1997, Mr. Bamberger launched the website www.artbusiness.com, which he solely owns and operates, and which is visited and consulted daily by 3000-4000 collectors, artists, fine arts professionals and individuals with questions, concerns or in search of consulting, advising, assistance or input on various aspects of the art business. He also has considerable online followings on Linkedin, Facebook, Twitter and Instagram. As a respected member of the art and rare books communities, Mr. Bamberger has appeared on CNN's Daywatch, KRON-TV in San Francisco, KTLA in Los Angeles, answered art business questions on New York City cable TV's Project Art Show; has been consulted and quoted in publications including the New York Times, The Wall Street Journal, Los Angeles Times, Art in America, The International Herald Tribune, Forbes Lifestyles, Great Britain's London Guardian, and New York Newsday; done national and local radio interviews including PBS; and has been featured in publications including the Chicago Tribune, the San Francisco Examiner, Kiplinger's Personal Finance, and Your Money magazine. He has been consulted about the art market by financial columnist Andrew Leckey, and Random House editors for their book The Practical Guide to Practically Everything. Mr. Bamberger has also been consulted and has provided expert testimony, opinions, perspective and assistance in a number of legal cases involving art, and has served as a lecturer to various museum and collector groups across America. Born in Cleveland, Ohio, Mr. Bamberger holds a Bachelor of Arts degree from Kenyon College in Gambier, Ohio. He currently resides in San Francisco, California where he has lived for the past 32 years.